Yokogawa Australia announces the release of the ROTAMASS LR, one of the world’s smallest dual bent tube Coriolis mass flowmeters. 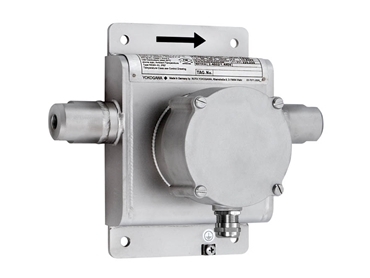 Featuring a proven dual bent tube and self-draining design, the ROTAMASS LR Coriolis mass flowmeter represents a significant addition to Yokogawa’s ROTAMASS low flow line product family for gas and liquid flow measurement. The growing Coriolis flowmeter market is seeing increasing demand for smaller devices with a 2-inch bore diameter or less. There is also a rising demand for low flow measurement solutions that achieve high accuracy and stability. Since the majority of small Coriolis flowmeters on the market currently use single tube detectors with lower accuracy and stability, Yokogawa developed the low flow Coriolis flowmeters based on its proven dual bent tube detector design to meet the market's need for accurate and stable measurement of fluids at low flow rates. According to John Hewitt, Managing Director of Yokogawa Australia and New Zealand, the new ROTAMASS LR gives customers wider choice in multi variable process measurement, allowing for greater accuracy and steady measurement in their utilisation.